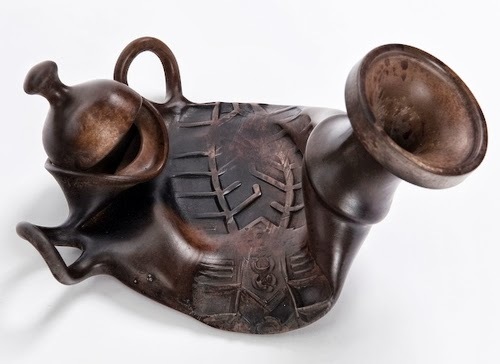 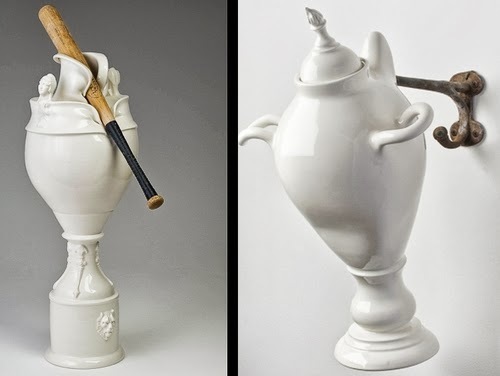 Ceramics is a very precise and technical craft, a small variation in the technique makes the difference between success and failure. 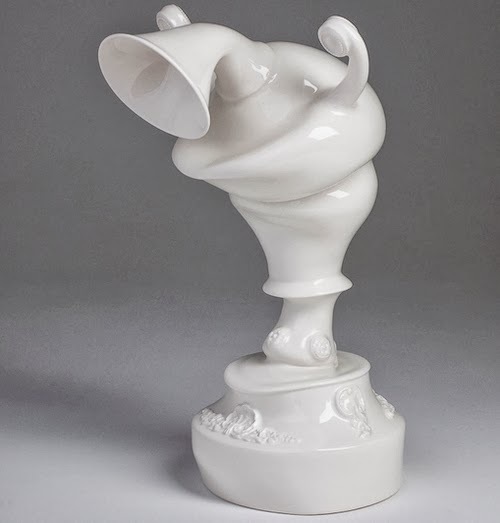 French and Canadian Artist Laurent Craste believes that is because of these constraints that artist remain very conservative and overly respectful of past tradition, stifling inspiration and creativity. 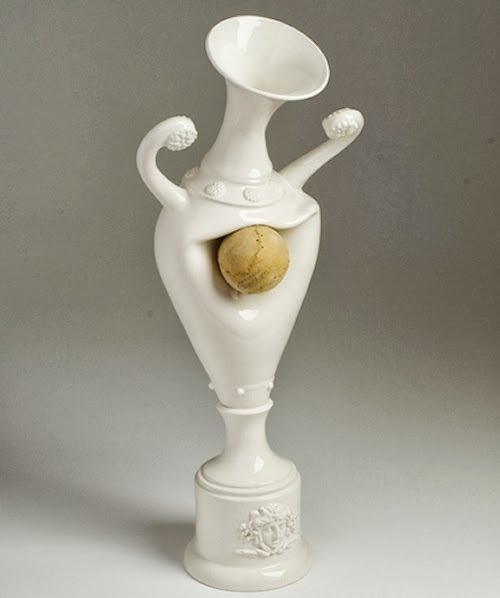 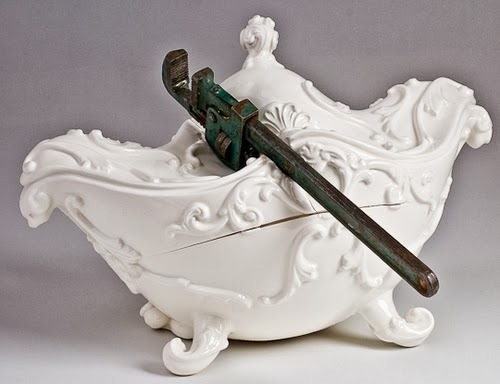 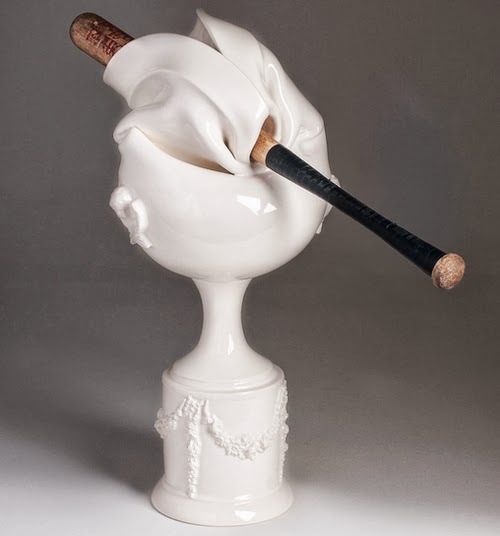 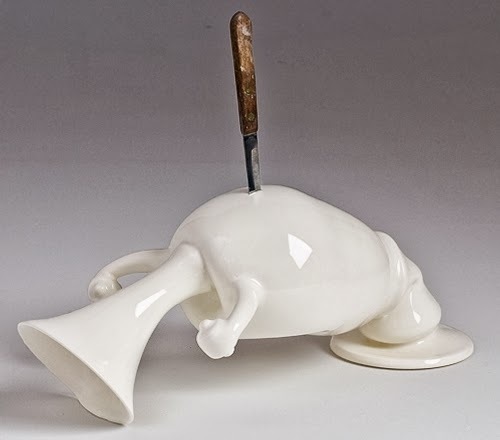 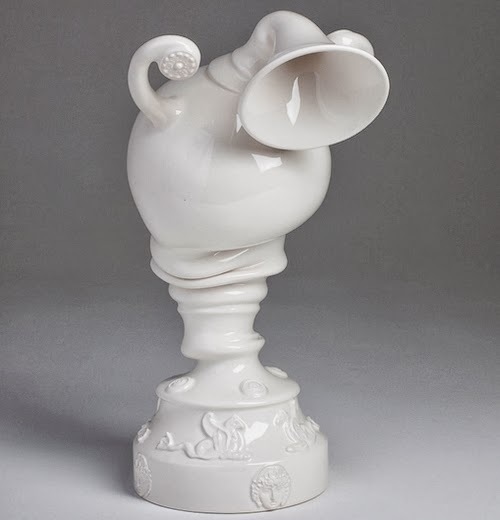 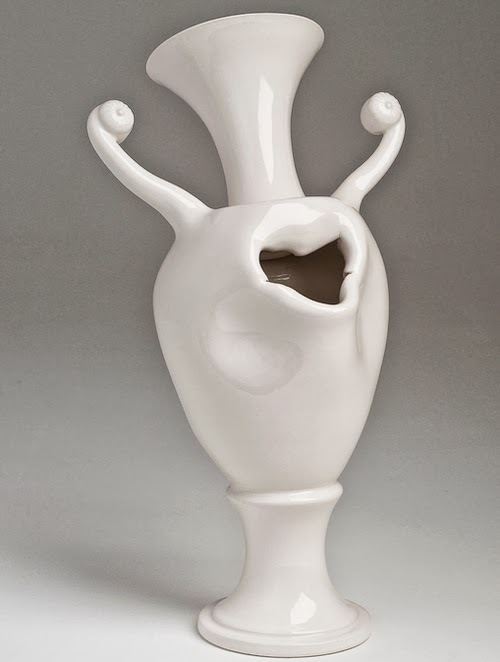 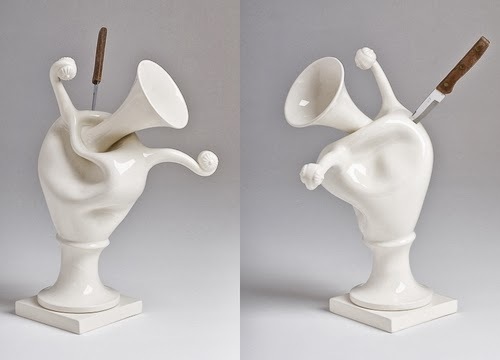 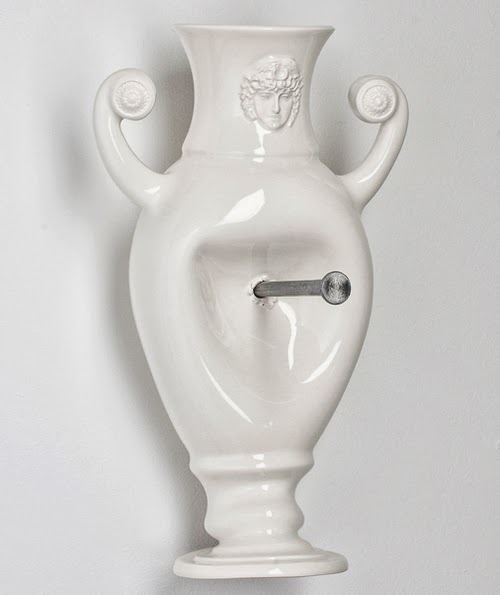 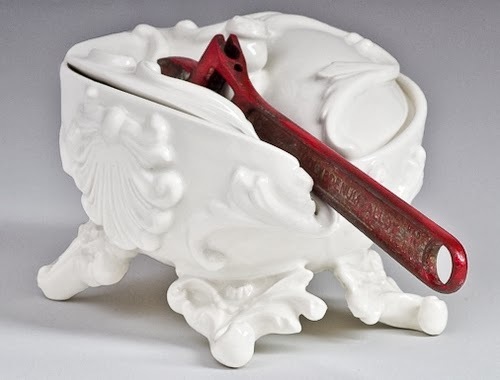 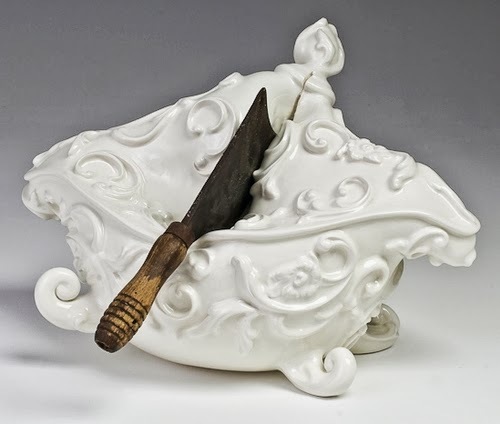 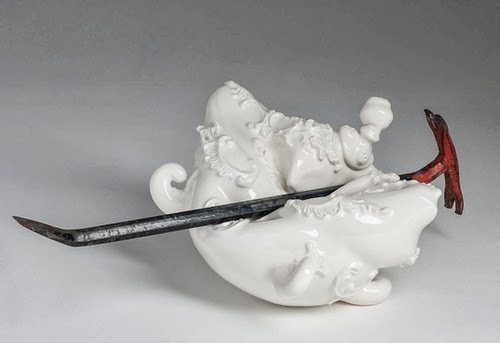 Craste has named this body of work "Ceramic Horror Abuse". 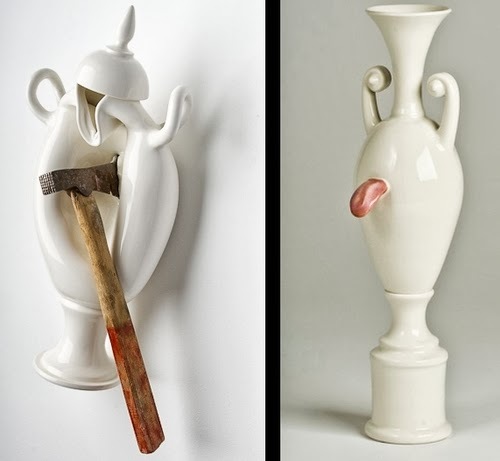 Don't look at it as destructive but an invitation to look at things in a different way. 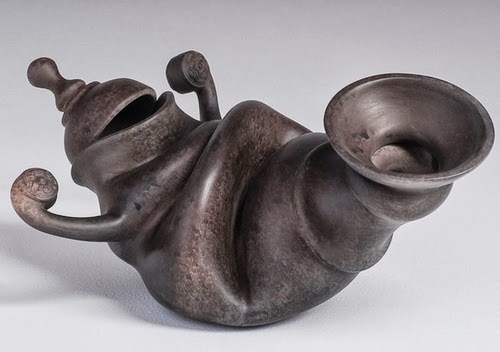 Craste has an impressive academic background, Degree in Veterinary Medicine, Master in Physiology and Anatomy, Degree in ceramics and finally Master in Fine Arts. 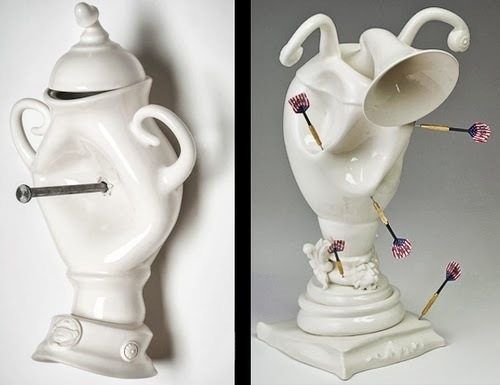 For more of her work please refer to her site.